Starting from Los Angeles, follow the Pacific Coast Highway to San Diego, a beautiful coastal city located at the southern tip of California. The 1.5 hour ride will pass through downtown San Diego and stop at San Diego Harbor, location of Naval Base San Diego, the principal homeport of the US Navy's Pacific Fleet and over 200 individual commands. 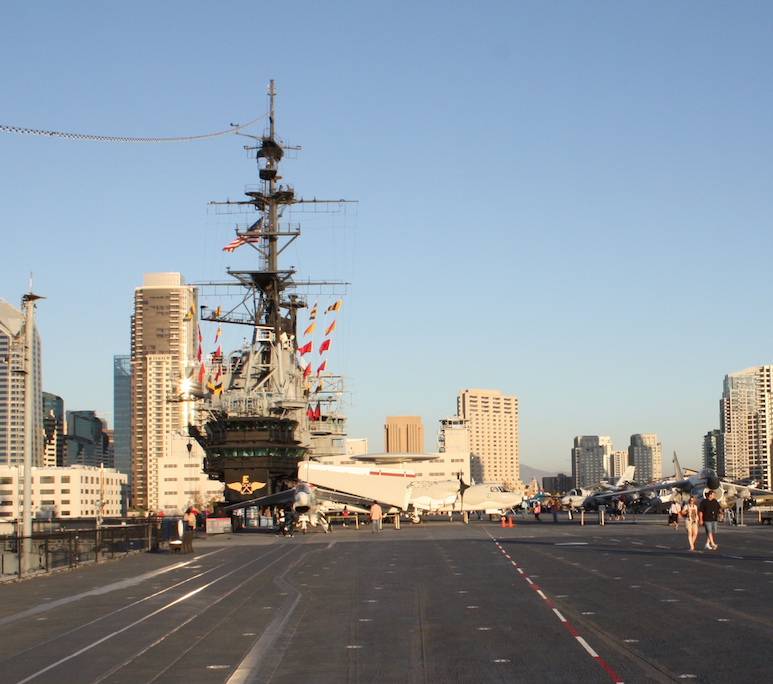 Join a bay cruise and go aboard the Midway aircraft carrier. Later, we visit the "birthplace" of California - Old Town San Diego. We then proceed to Balboa Park, one of the first public parks in the US, established in 1838, and host of the Panama-California Exposition of 1915-1916 and California Pacific International Exposition of 1935-1936. We return to Los Angeles along the Pacific Coast Hwy.